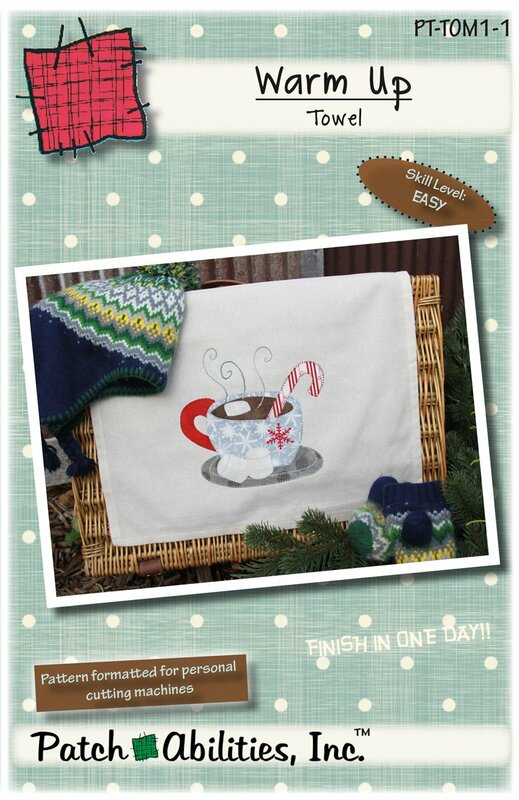 You will love a winter kitchen tea towel featuring a mug cup of hot cocoa with marshmallows, snowflake and candy cane. This applique tea towel is a great beginner-friendly quilting project! Pattern features: fusible applique, directions for hemming raw ends of toweling, embroidery stitch diagrams, pattern sheet (unlabeled and non-reversed) for use with personal cutting machines. Look for more seasonal towel designs in our towel of the month series. Tea towel not included.